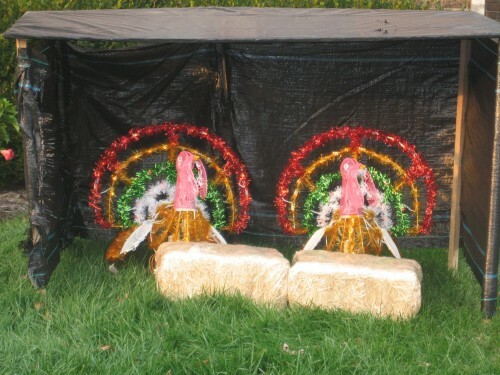 People seem to take Thanksgiving decorating way too seriously! The lack of funny stuff for Thanksgiving is appalling. 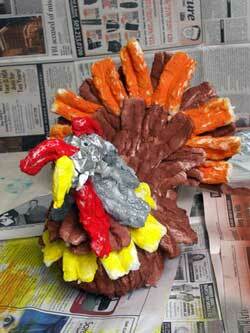 The hardest thing about putting this article together was wading through the repetitive Thanksgiving decoration sea. It seems everyone has the same six items in their homes, or they are using the same ones from when they were six. 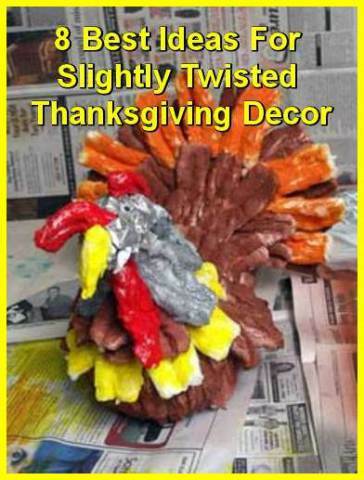 Either way, looking for fun and funny Thanksgiving décor can be a great cure for insomnia. 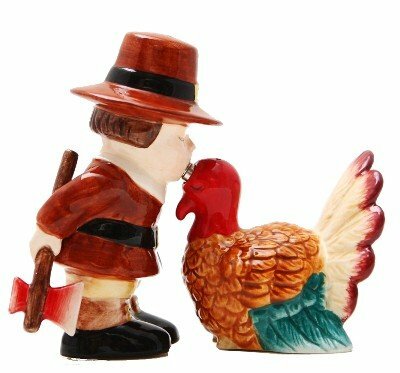 People need to take Thanksgiving with a dose of cheer and humor, rather than the Puritanical and semi-sad decorations we found. However, the eight items below will make you wonder why the decorators didn’t just stop at the dull, already. Seriously, an entire site devoted to crafts made from tampons. Those things are expensive, for one, and let’s just say GROSS for another thing. On your Thanksgiving table! Eck! Burning people for Thanksgiving seems a bit harsh. 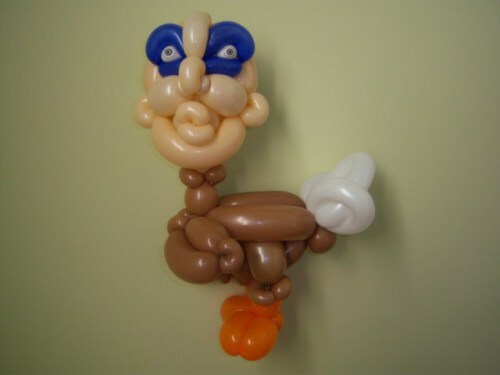 Obviously a master designer in the balloon arts made this Turkey in Disguise but it seems creepy to me. Really creepy. Do you get the same vibe? 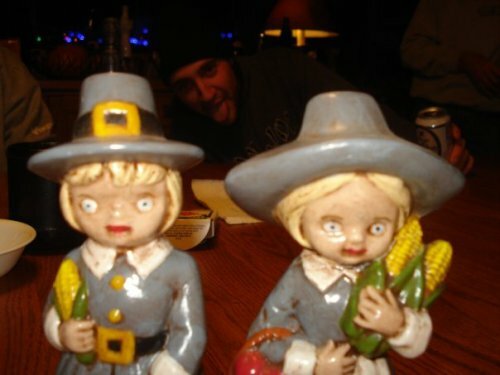 They look like they are running from the photobomber in the background after stealing his corn. Run away! We are not sure on the construction of these birds, but we think they light up. They might be made of sparklers, for extra flammable holiday fun. 6. 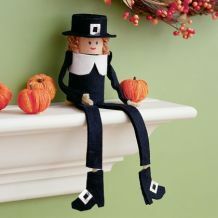 Pilgrim On A Shelf? Great. Another creepy holiday tradition. I already get spooked by Elf on a Shelf popping up all over the place for Christmas. 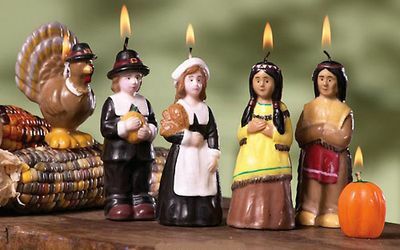 Now we have pilgrims for Thanksgiving? The perfect, classy accent to your holiday lawn. 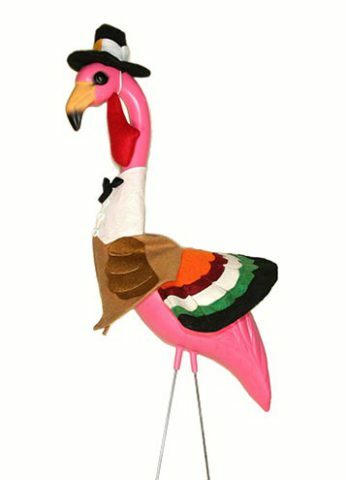 I want to say goodbye before you lose your head, turkey! Come on readers! We are counting on your to up the ante up this Thanksgiving season! Let your creative juices flow. Surely we can do better than make the same old boring and pretty table settings decorations for Thanksgiving? 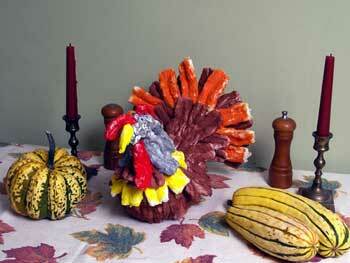 Please comment and link to any funny or amusing ideas for Thanksgiving decor that you were able to find or create.